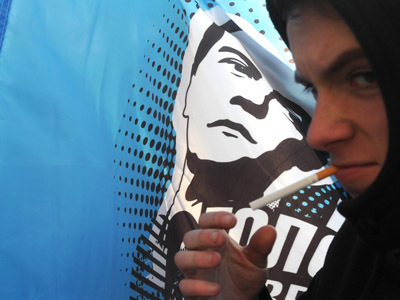 The United Russia party’s rating has soared in February, according to several surveys. Analysts say this is directly linked to the increasing popularity of Prime Minister and presidential candidate Vladimir Putin over the recent months. 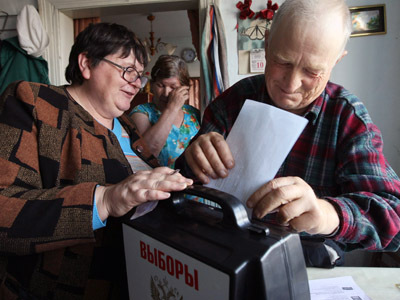 ­Two Russian pollsters, the All-Russian Public Opinion Research Center (VTsIOM) and Public Opinion Foundation (FOM) conducted studies on February 11-12. 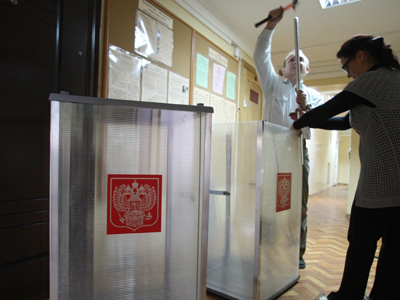 According to VTsIOM, United Russia would take 46 per cent of the vote if a parliamentary election took place now. Its study, in which a representative selection of 1,600 people took part, covered 153 Russian residential areas. FOM got the same result, having conducted a poll among 3,000 respondents in 204 locations across Russia. 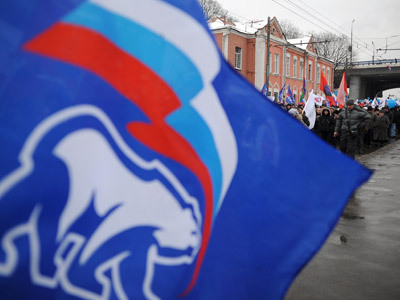 A study conducted by the independent Levada-Center on February 17-20 involved a representative selection of 1,600 people and revealed that United Russia has the support of 41 per cent of voters. Head of VTsIOM Valery Fyodorov explains the growing popularity of United Russia as due to the increasing rating of Vladimir Putin, with whom people associate the party. According to FOM, 80 per cent of Russians believe that Putin will become president and 66 per cent will vote for him in the March 4 presidential election.